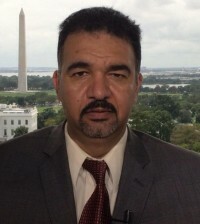 Dr. Abbas Kadhim is an Iraqi-American academic specializes in Iraq, Iran, Persian Gulf, and Islam. He is a senior fellow at the Foreign Policy Institute, SAIS- Johns Hopkins University and the President of the Institute of Shia Studies in Washington, D.C. He is the author of Reclaiming Iraq: the 1920 Revolution and the Founding of the Modern State, Univ. of Texas Press, 2012; and “The Hawza under Siege: A Study in the Ba’th Party Archives“, Boston Univ., 2013. David Allen Sullivan’s books include: Strong-Armed Angels, Every Seed of the Pomegranate, a book of co-translation with Abbas Kadhim from the Arabic of Iraqi Adnan Al-Sayegh, Bombs Have Not Breakfasted Yet, and Black Ice. Most recently, he won the Mary Ballard Chapbook poetry prize for Take Wing. He teaches at Cabrillo College, where he edits the Porter Gulch Review with his students, and lives in Santa Cruz with his family. caught between bread and death. day laborers, looking for work. to buttonhole to your murderer’s coat.